As the cryptocurrency sector continues to develop and expand, it has witnessed a massive influx of new people interested in crypto trading. This has led many early innovators and adopters to focus on the future of the sector. 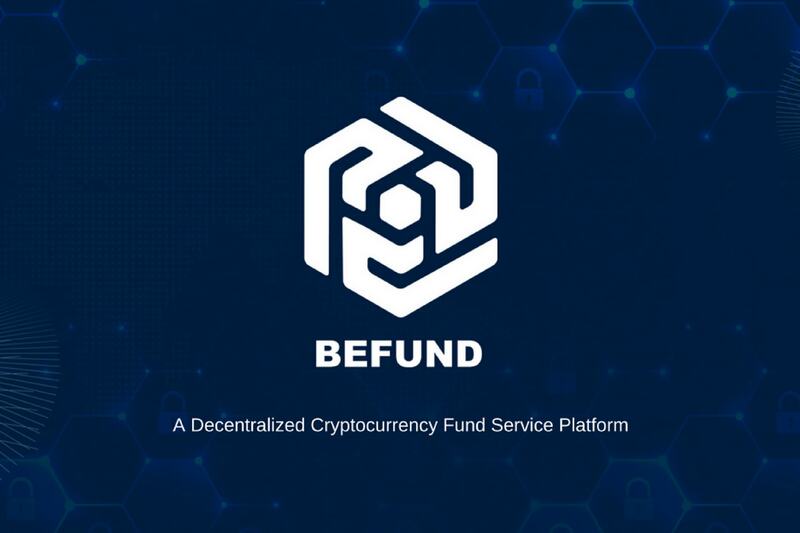 In this environment, a group of innovators and forward thinkers created Befund, the non-profit service platform for tomorrow’s cryptocurrency traders. The creators of Befund recognized that building and managing portfolios is the next stage in the cryptocurrency sector. With that in mind, they created a platform where cryptocurrency portfolio managers can issue their own tokens, so that enthusiasts can easily navigate the often-confusing portfolio and cryptocurrency world. Befund has created a decentralized solution using its BFDChain public sidechain technology where managers can host their portfolios and enthusiasts can select which portfolios to participate in via token. Befund can host both large and small portfolios, giving all types of crypto traders the ability to find the expert managed portfolio that fits their interests without spending precious time reading through each ICO white paper themselves. This promises to be a large step forward for cryptocurrency enthusiasts, as the learning curve for industry experts and portfolio managers is very steep. Today managers have established a network of relationships that help them keep abreast of the direction that the cryptocurrency sector is headed. Portfolio managers are able to glean what is important from a white paper and see the potential of a peer reviewed ICO. But therein lies the issue, how can managers pass along their findings to fellow enthusiasts? The tools created by Befund can help convey these insights to the everyday cryptocurrency trader. Based on smart contract and blockchain technology, Befund is a decentralized service platform where portfolio managers can manage all aspects of their portfolio, from start-up to daily maintenance and clearance. In addition, managers will be able to issue their own crypto tokens tied to their portfolio. This will provide talented crypto fund managers with the tools that they need to interact in an ecosystem with crypto enthusiasts. Along with a book building product, Befund offers an SaaS tools platform that includes cryptocurrency wallets, subscription platforms, and more, to finally create a ‘home’ for the flourishing cryptocurrency portfolio sector and its managers. Today the cryptocurrency market has outpaced the development of related tools and digital infrastructure. This is why at Befund we have set out to create tools and services that incorporate seamlessly with blockchain technology, while providing a traditional and user-friendly interface that anyone familiar with traditional funds will easily understand. Our approach is to make Befund an easy to use platform that can simultaneously meet complex demands at scale. We have assembled a great team of blockchain experts, industry members, and advisors with the goal of having a positive impact on the global cryptocurrency sector. We want to be the world’s go-to for cryptocurrency enthusiasts looking for the best portfolios around, as well as the premier place for those managing crypto assets to find the best tools available for their services. BFDChain will be powered by the BFDT token, which will be used on the platform to access professional services including learning modules and smart contract templates. Major BFDT holders may be also entitled to participate in exclusive advance fund sales conducted on the platform. A maximum of two billion BFDT will be issued, including the sale of 9% to strategic backers, a 25% placement (including public crowdsale) with whitelisted KYC buyers, and 20% of tokens going to the Befund team. In all 500 million BFDT will be available for sale during the ICO.